An Iowa Supreme Court justice who stepped down to focus on his battle with cancer has died. The spokesman for the Supreme Court has confirmed that Daryl Hecht, who resigned from the high court in December to focus on his treatment for melanoma has died. He was 66. Hecht was raised on a farm near Lytton and received his bachelor’s degree from Morningside College in 1974 and his J.D. degree from the University of South Dakota in 1977. He received his L.L.M. degree from the University of Virginia Law School in 2004. 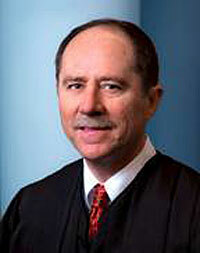 He had practiced law in Sioux City for 22 years before being appointed to the Court of Appeals in 1999. He was named to the Iowa Supreme Court in 2006. Hecht had returned to the court after undergoing treatment, then made the decision to retire to focus solely on his health. Hecht is survived by by his wife, two daughters, and three grandchildren.